Is Your Boiler Broken? Get New Boiler Installation Services in Grand Rapids with Service Professor. Do you need a new central heating system or just looking to replace your older model boiler for a more efficient one? We are the boiler installation company in Grand Rapids for you. Service Professor makes boiler installation easy. Our experienced technicians have installed numerous boilers and central heating systems throughout West Michigan. When you want to be ready for the cold, you call Service Professor for fast, reliable, 24/7 boiler installation services. Are you looking for boiler only installation? We can replace your current one and install a new boiler that meets your home’s heating needs. We can also replace your thermostat and timers to ensure that you have a fully functioning boiler to keep your home or business warm. Do you need a full boiler installation with cylinders, radiators, thermostat, timer, and pipework for full central heating installation? Call Service Professor. If you need a central heating system that is designed to meet your needs, then we are the heating specialists you need. We can supply and install all the necessary components for a highly efficient system that keeps you warm and keeps your energy bills low. We offer installation of some of the most advanced boilers on the market. Whether you need a smart heating system or one that can react to the different temperature needs of the room, we have you covered. A Furnace or a Boiler? What’s best for you? Not sure which heating system you need? A furnace requires ductwork to distribute the warm air it generates to heat your home or office. A boiler requires a piping, baseboard, and a radiator to distribute the hot water and steam it generates to warm your rooms. If you currently have a furnace or boiler and wish to replace it because it’s not working, give us a call. If you are looking for a high-efficiency central heating system but not sure which type of system would serve you best, contact us for a quick consult and a free estimate for your new heating system. Service Professor is the premier heating company and boiler installation service in West Michigan. We provide fast and efficient boiler installations for homes and businesses. Our customers enjoy our detailed professional service, high standard of workmanship, and experienced boiler technicians. Service Professor technicians are available 24/7 to provide boiler installation and maintenance services across Grand Rapids. When you need a boiler installation and servicing specialist in Grand Rapids, call Service Professor at 616-871-1900616-871-1900. We are the leading boiler specialists in Grand Rapids keeping our customers warm wherever they are. We have a team of expert boiler technicians who listen and respond to all our service requests with attention to detail and dedication to leaving our customers satisfied. All our boiler installations come with a warranty on parts and labor for your peace of mind. Know that we have you covered once you meet all the requirements for taking care of your boiler. Our technicians have decades of experience installing all brands of boilers and helping our customers reap the energy efficiency of your heating system. If you need a new boiler but can’t afford the up-front cost, then speak with us. 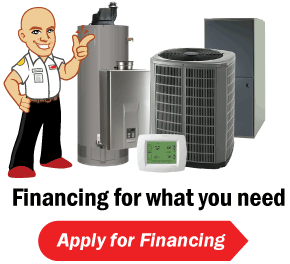 We can help you identify financing options to get the boiler you need. We know how necessary a heating system is, especially when faced with Michigan winters. Let us help you get the financing you need to get a new boiler to keep you and your family warm and comfy. When you have a new boiler installed, you need ongoing maintenance to keep your boiler working. Our award-winning service keeps our customers boilers’ working properly and prevent unforeseen problems. We will work to ensure that you get the full life of your broiler and the energy saving advantages. Request your free boiler installation estimate today. Contact us online or call us at 616-871-1900616-871-1900.